Aren't there also a few ukeleles around somewhere? I seem to recall Sterling serenading me with one in the office. But that could have been some sort of flashback. Earthwood ukes? Maybe, but I've never seen one. Bass uke, on the other hand, Sterling does have in his office. I could be misremembering because it was a long time ago - 2005? - but it SEEMS like Sterling told me that Dan built a few ukeleles with Earthwood badges for the kids. If I'm wrong, I'll delete these posts. If I'm right, I'd bet people would like to see an example. I bet you that is correct, Dan would build a skyscraper in his offtime if he had the materials. This one is a day after the update to the guitar thread because I was not able to get good outdoor lighting conditions for this shot. 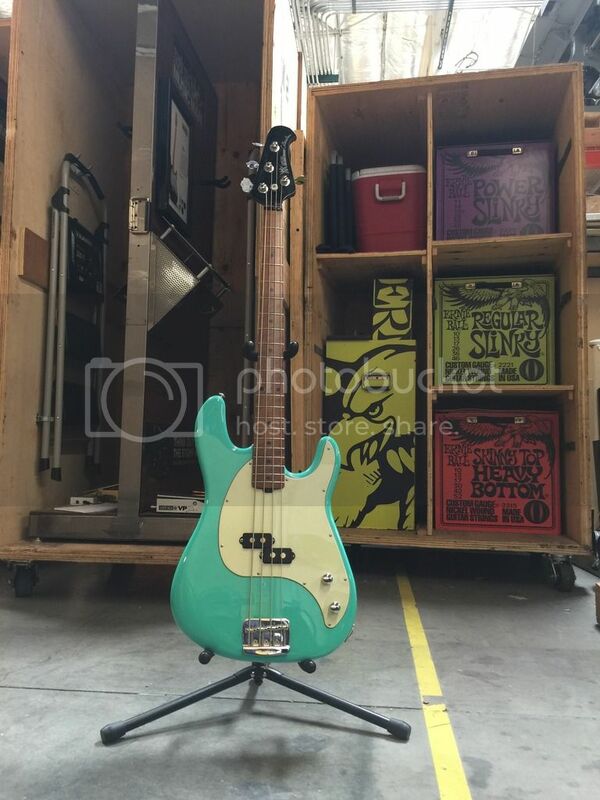 This will be the last Cutlass bass in this thread for a while, I promise. This is actually my Cutlass that I've had for about three months, it's white on white with a roasted maple neck and ebony fingerboard. A closer look at the roasted maple. Dang, Casey, that's a beautiful bass. Thanks for sharing! I love that Cutlass. 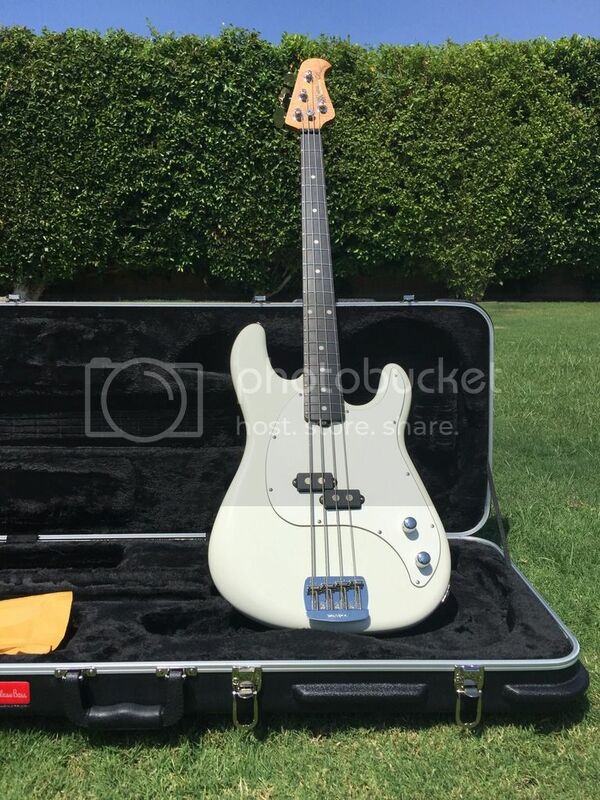 White basses with roasted necks look so freaking good! Ah. It's been a long time since I saw them! The ebony really sets it off, wow! Haven't checked on this thread in a while. Oh man, I am in LOVE with this one. What was the fate of this beauty? Any chance it can be purchased? Haha. Last edited by the_eigensheep; 08-31-2017 at 09:38 PM. 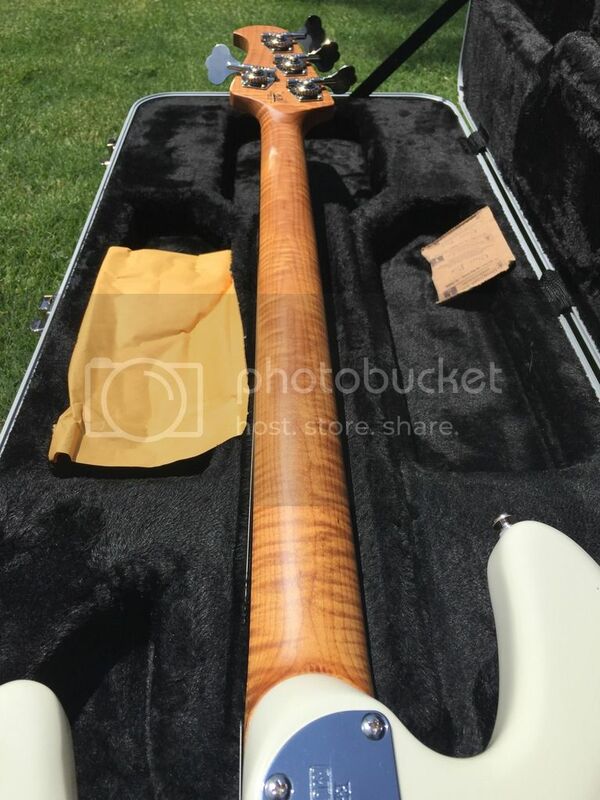 Man, I wish I could get a HH5 model of that 6 string natural wood one in the begining with a light coat of lacquer. I love my HH5 in Cherry Red, but I'd love to get this!